Earlier this week, Windows Phone Central broke the news that Gameloft’s Modern Combat 4: Zero Hour would be arriving on Windows Phone 8 today. 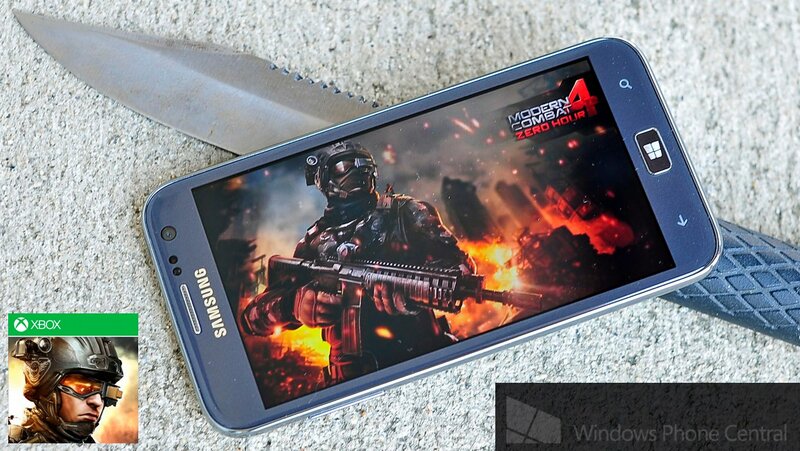 The wait has been hard, but now Modern Combat 4 is finally here! Not only is it the first First-Person Shooter in the Xbox Windows Phone lineup, but it’s the next best thing to having Call of Duty on your phone. 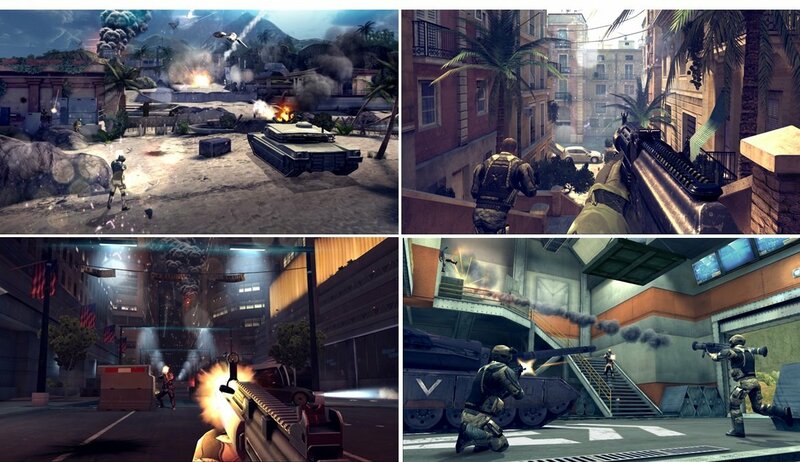 Modern Combat 4 packs both a full single-player campaign and a robust online multiplayer mode for up to 12 players. Not surprisingly, that means you’ll need a Windows Phone 8 device with 1 GB of RAM and plenty of storage space in order to play it. Head past the break for more details and the all-essential Windows Phone Store link! Modern Combat 4 features an exciting single-player campaign as well as a robust multiplayer component. The campaign storyline revolves around a series of terrorist attacks as well as the kidnapping of the US president. The story comes to life through fully-voiced cinematics that you’ll only find in mobile games from Gameloft. Players will take on several different roles throughout the campaign, including not only heroic military operatives but even the lead enemy! You’ll even encounter the same battle from both sides’ perspectives – we can’t fault Gameloft for not being ambitious. As you would expect in a game inspired by the Call of Duty series, multiplayer is a major part of the Modern Combat 4 experience. Multiplayer games support up to 12-player matches via local Wi-Fi or online. While Modern Combat 4 is the second Xbox Windows Phone game with real-time online multiplayer (after Asphalt 7), it’s the first one that allows users to directly invite their Xbox Live friends into online sessions. Multiplayer allows players to customize their weapons with a dazzling array of parts, all of which can be unlocked at any time with in-game currency. Players can also specialize in various classes. Four classes are available at the outset, while new ones unlock as your multiplayer rank increases. Each specialization offers 8 perks, so it should be fun finding the best class for your playing style. As I mentioned earlier, Modern Combat 4 requires a device with both ample horsepower and storage space in order to run. It needs 1 GB of RAM, so low-RAM devices like the Lumia 620 can’t play it. As for storage, the game itself is a massive 1011 MB download. But Windows Phone 8 games require over four times as much space as their download size in order to install. That's 5 gigabytes in this case (though one user has reported it needs about 7.7! ), so many gamers will need to clear some room before they can download it. We’ve heard that queuing the download via a web browser reduces the space needed in some measure, though. Modern Combat 4: Zero Hour for Windows Phone 8 costs $6.99 and there is a free trial. Get it here from the Windows Phone Store. Remember, everyone’s store updates at different times, you might need to purchase via web browser or simply check back later in the day before you’re able to find the game. Thanks to KKRLessey for the tip!